The quirky, the beautiful & the bunting... lots of bunting! 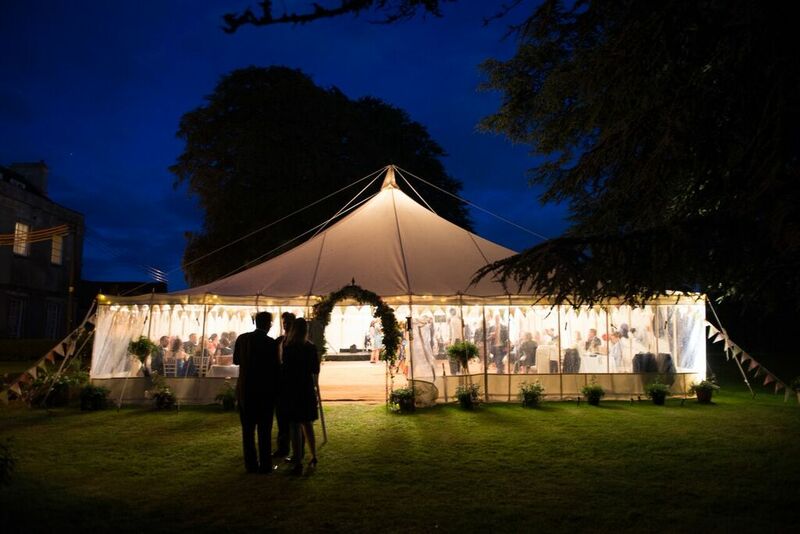 Vintage Marquees is a unique Wiltshire based company specialising in the hire of traditional canvas marquees of all sizes. 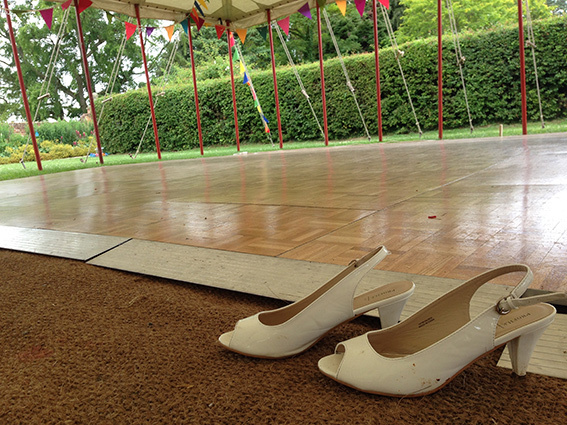 Our marquees date from 1950 until now… some of them are seriously vintage! 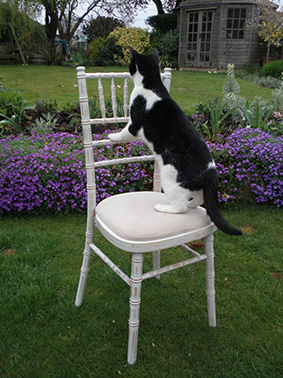 Our most popular hire items are our unique old plank top tables and vintage wooden chairs. 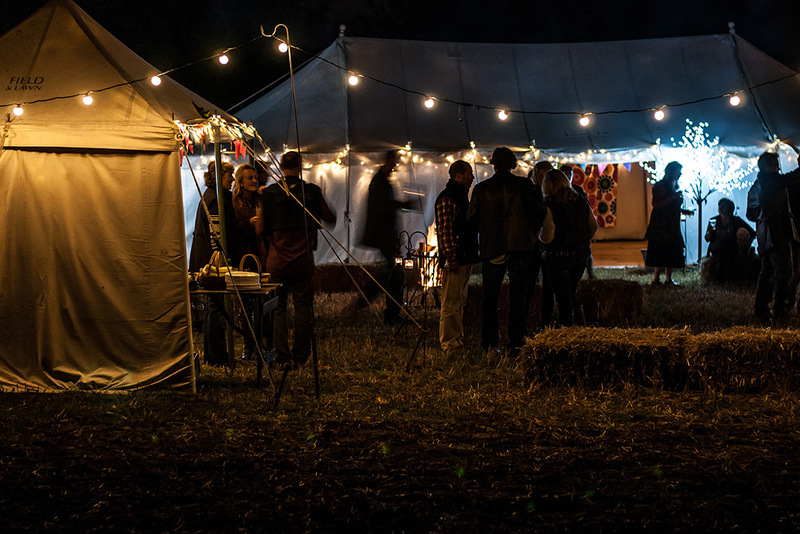 As well as offering the standard extras such as fairy lights and dance floors, our ever-expanding range of ‘shabby chic’ and vintage accessories includes lanterns, fire pits, traditional garden games and drinks bars. 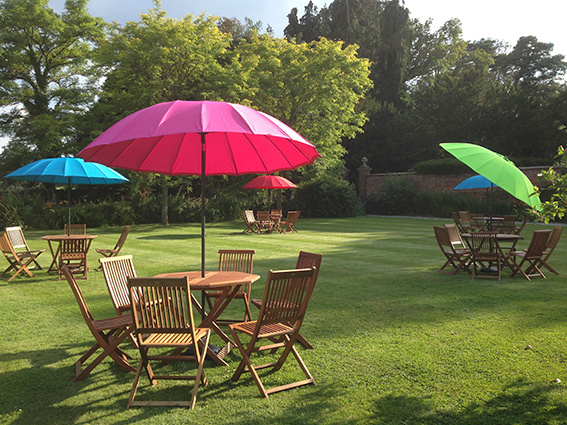 If you are looking for a beautiful country wedding or garden party, then look no further! 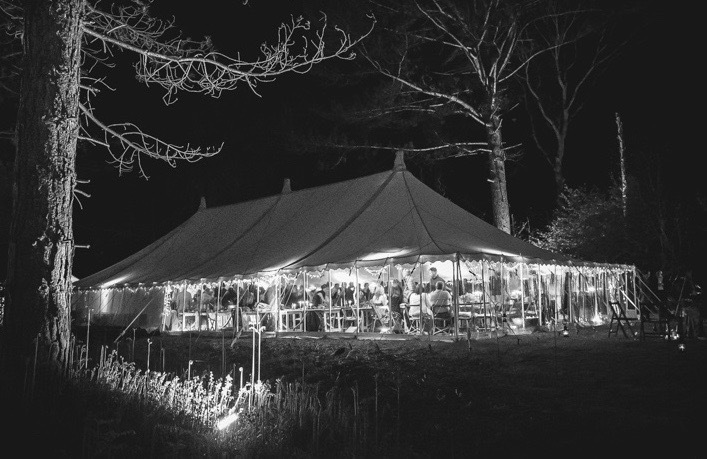 All our marquees are made from traditional cotton canvas with natural wooden poles and hemp ropes. From original 1950s tents oozing vintage character that can’t be replicated to stunning, new, large structures with full, clear, panoramic windows. Festival marquees, dance tents, oak structures, children’s tents and vintage camping and fishing tents… why not?! 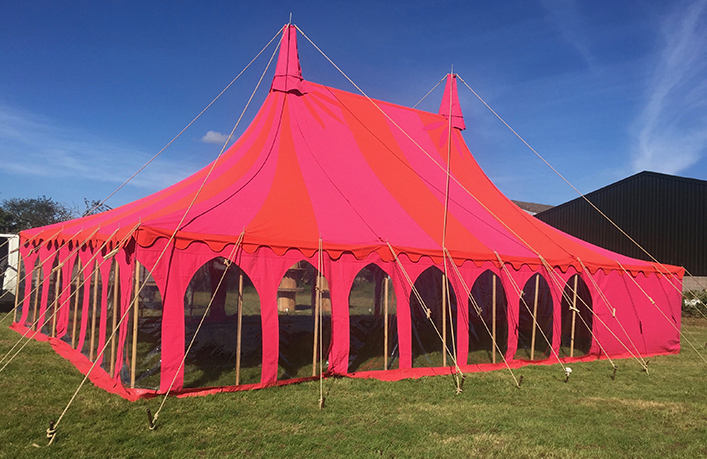 Loving the unconventional, our quirky tent collection deviates from our traditional, natural canvas marquees. 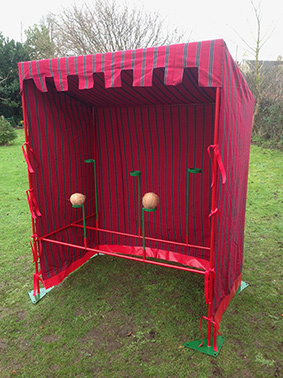 Over time, we have built an eclectic collection of unusual tents and marquees just for fun! "Thank you for making John and Lydia's day so special - the marquee was amazing and everything they could have wished for." Our huge furniture collection merits its own website! 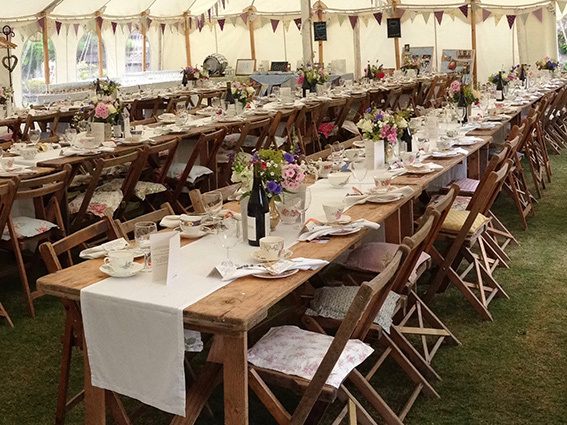 We specialise in genuine old plank top trestle tables and vintage wooden chairs that beautifully compliment the traditional canvas marquees. 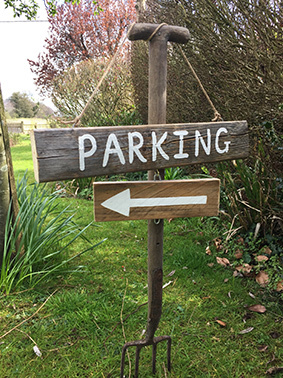 We have an ever expanding range of extras such as handmade cushions and bunting, bars, oak barrels, easels and boards, crooks and lanterns – the list goes on. We also provide all the standard extras such as dance floors, lights, catering tents, walkways etc. "We have been impressed with the friendly and flexible professionalism of your team and would highly recommend Vintage Marquees." Your team were efficient and professional and so friendly! Warmest wishes." 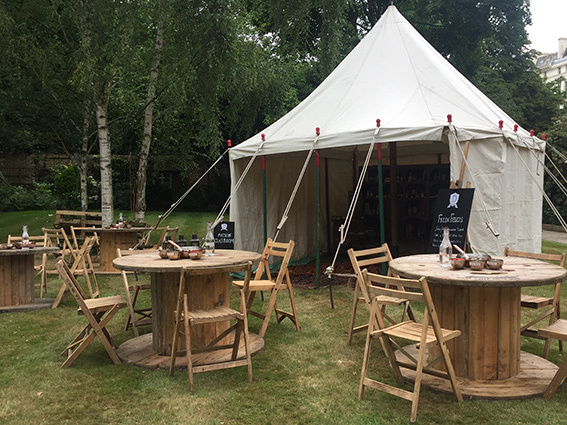 Catering for over 50 weddings every season, for numbers from 25 to 250, the Vintage Marquees team have years of experience and enthusiasm and we just love helping with all the details! We cover the full package – flooring, dance floors, bars, and all the furniture and accessories. 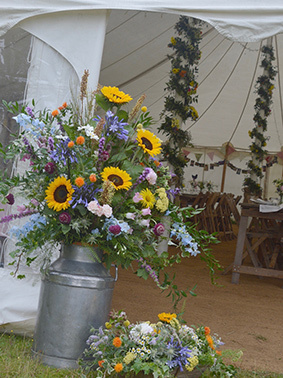 Our smaller vintage marquees (and sometimes larger ones!) are ideal for garden parties… did we mention Gleneagles? Do we travel far? Yes! All the way to Corfu for the television series, The Durrells! But also to Elstree Studios, Bristol Bottleyard studios, Windsor Race Course, High Wycombe Lido and the Peak District! Few companies supply genuine old canvas marquees with the character and worn appeal that only comes with age. 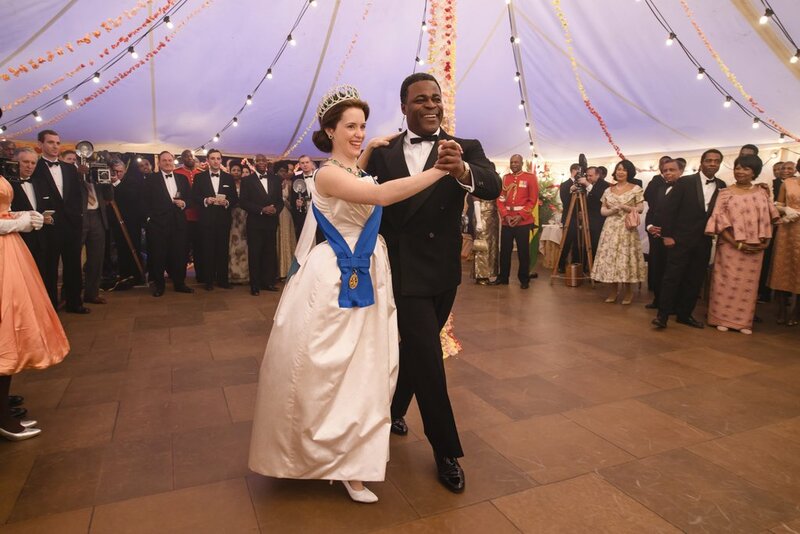 Our particularly popular marquees for film are the Essex, Bristol, Brixworth and Three Peaks, the Vintage tents and Scout and Henley. Festival weddings are now so popular and great fun to decorate and accessorise. But we do love a festival! Some of our favourites so far… Big Festival, Wilderness Festival, Larmer Tree Festival and Hay Literary Festival. Our traditional marquees are popular for corporate events too, and include Freestyle games in Oxfordshire, Laithwaite Wine and Soho House. "Thank you once again for your help and support in making the occasion so successful." The party in our garden was an ad-hoc bespoke affair, (and unbelievably the marquees were needed to shelter from scorching sun!!). Chairs and plastic picnic tables were borrowed from the village hall, but gingham cloths and old china softened the look and soon I was being asked where the beautiful tents came from. No one could believe that these tents were the ones that that had graced the village green for decades on fete day, (and still do!) I was the only person in 40 years to ask to use the tents for private hire! Friends started asking if they could use my marquees for their parties… and the rest is history! I started gathering just enough tables, chairs, matting, lights etc for my two little tents; that is until someone asked for a bigger tent! And so Vintage Marquees has grown and grown. 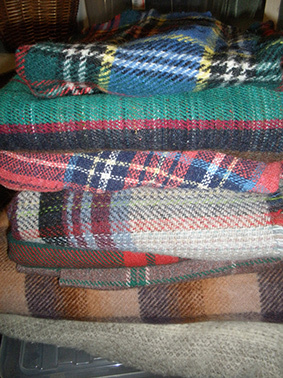 With profits put back into the company and endless sourcing and constant new ideas. The business has grown fast and I think is successful due to massive enthusiasm and passion, not only for gathering all the beautiful and unusual pieces that help to create wonderful vintage parties and weddings but also due to a love of planning and organising and helping make each event unique and special. We now have over 40 marquees and tents, more than 1,000 chairs and 200 tables, not to mention mountains of matting, baskets and baskets of bunting and many many milk churns! ” ….” from a cottage business, we have grown in an organic way and have a fantastic team, all of us passionate about our (rather special we think) marquees. Our customer focus has never changed, all of us always giving 100%, be it a set up for a wedding for 200 with vans full of furniture and decor, or a tiny tent in a back garden for a children’s party. "Thank you to you and the rest of your team for a perfect execution - the setup went incredibly smoothly so thank you so much!"